Not the usual Thursday thought today, though it may provoke a thoughtful response! Most people grow their own vegetables for the taste. But Van Meuwen are encouraging you to grow tasteless vegetables this year in their ‘Naughty Veg’ competition. 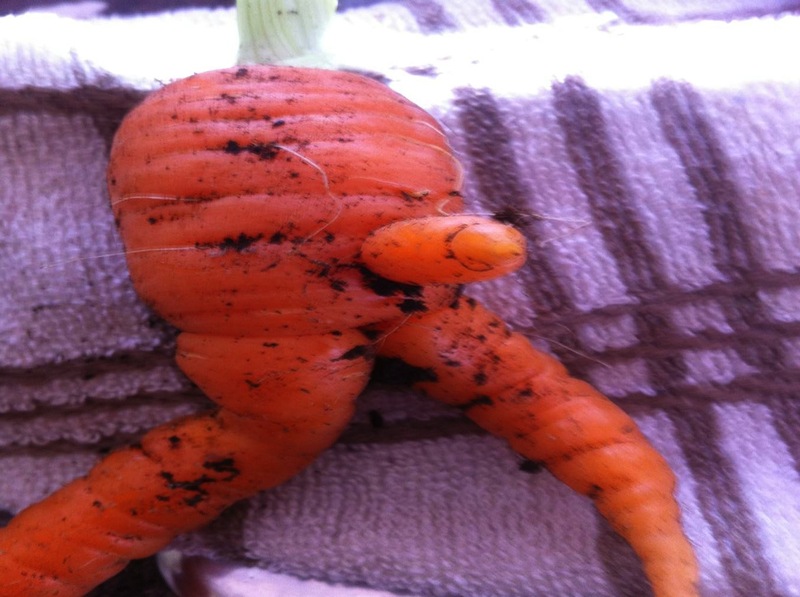 Last year they ran their ‘Vulgar Veg’ competition and the winner (above) was a ‘cheeky’ carrot. The winner got £500 of vouchers. This year they are asking you to grow a rude vegetable again, with the same prize. If you find something unpleasant in your veg box all you have to do is take a photo and send it in to Van Meuwen by September – link below. If you want to have a go my tips would be to grow your carrots in stony soil or dig in some manure beforehand – bad practice that usually leads to forked roots. The same goes for parsnips. Transplanting them will also lead to oddly shaped roots. Other possibilities would be cucumbers and courgettes and sometimes you find an ‘excited’ tomatoe among the rest. Cheap varieties such as ‘MoneyMaker’ or beefsteak types are good candidates – F1 hybrids are less likely to surprise you with a freaky fruit. ooooooooo lol time to grow something funny . Brilliant, I shall be looking out for the perfect candidate!